With the passage and implementation of the Affordable Care Act (ACA), offering additional healthcare benefits now goes beyond the usual medical coverage. 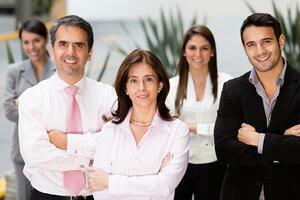 Employees, especially those with growing families, want and need vision and dental care coverage. While no mandate officially exists within the ACA for employers to offer these types of coverage, smart companies will do so. 1. Attract and keep talented workers - With out-of-pocket healthcare costs soaring, savvy employees will look for employment for those companies offering a wide array of add-on benefits. If you want to attract and keep top talent, especially for those employees with children, offering dental and vision can take much of the financial burden off families faced with orthodontia, eye exams, corrective eyewear and other expenses that are increasingly cut from corporate insurance options. 2. Preventative services can prevent more serious problems – For example, diabetics often have gum and related problems that can show up in a dentist’s exam before the employee might report to a physician for a checkup. Glaucoma and other conditions as well as signs of chronic disease have been caught early while readily treatable by optometrists during routine eye checkups, again before another healthcare provider might do so. By offering dental and vision coverage, you can help employees be pro-active in staying healthy through preventive care. 3. Gain a reputation as a great place to work - With a broader menu of benefit options for current and potential employees, you’ll help to set yourself apart from the rest of the (non-insuring) competition as an employee-friendly business. And as we all know, happy employees are more productive employees! What Does Vision Insurance Usually Cover? As a preventive measure, these are usually performed yearly and test eye health for glaucoma, peripheral vision, color blindness, vision sharpness and more. They are important due to being able to also detect any developing eye diseases as well as other vision problems in their early stages, when they can be more easily corrected. Eyeglasses (including lenses and frames) and contact lenses are often expensive, but should be at least partly covered through a good vision plan. 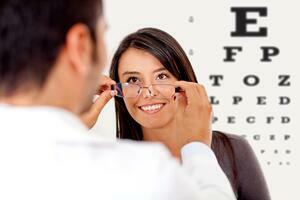 Some plans limit coverage to glasses and other services obtained by a network-approved optometrist or vision center. Lens coatings and other enhancements to help reduce harmful ultraviolet rays as well as the chances of scratching or fogging may be included, depending on the plan. Some plans also put a limit, such as two years, on how often exams and/ or eyewear will be covered. Plans vary and so will costs, but on average, expect to pay a monthly premium in the $10-30/month range, which is pretty affordable for both you if you choose to cover it or your employees’ out of pocket. As a rule, employers can pay either a flat rate or a percentage of premiums within a pay period. Premiums also depend on who and what services you cover and are major factors in determining your costs: will plans just cover the employees or their family members (“dependents”) as well? If you’re looking to build your team with incentives, adding vision and dental coverage are excellent perks, as children need more frequent trips to the dentist and optometrist. What Services Are Covered With Dental Isurance? 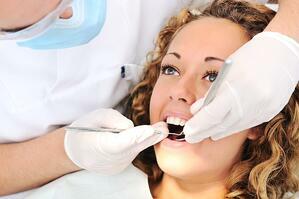 Basic coverage: Usually covers most basic services such as dental exams and cleaning but not other procedures. Minor coverage: Offers part to full coverage of minor procedures such as filling a cavity as well as annual or biennial exams and cleanings. Generally excludes other procedures. Full coverage: May cover a percentage of more complex procedures such as root canals as well as filling cavities and exams, usually annually, with some plans paying for exams every six months. Dental costs generally range between $20-60/ month; popular carriers such as Cigna, Delta Dental and Humana offer several tiers of coverage including PPO and HMO options to further keep costs down. Most plans start in the $15-20 per month range and can go as high as $35 per month for an individual top-tier plan. Most vision and dental plans, especially those set up as an HMO (known as a “DMO “) are very similar to other medical plans, with the main difference between a PPO and an HMO being their network size. A DMO network is usually smaller, with participants required to use network-approved providers; premiums, however, are considerably cheaper than those of a PPO. If you participate in a Professional Employer Organization (PEO), a government-sponsored insurance marketplace (SHOP) or use our experienced brokers, you have already partnered with a knowledgeable source of insurance benefit information. As value add-on benefits, these plans should be affordable for you and your employees as well as readily accessible through your regular insurance sources. Craig Prince Craig’s background is quite diverse. His current focus is on Group Health Insurance, Medicare, Life, Disability, and Retirement Income, Keyman insurance, and Business Buy-out policy. Craig enjoys one-on-one with his clients to find the specific need of each employee or individual involved in the process.